As early as kindergarten, Karen Heyl, now 66, knew she was going to be an artist. “When my art project was held up as an example in class,” Heyl said, “I knew I wanted to be an artist.” In the 1960’s, she married and had two daughters. “They saw me struggle as I was raising them,” she said, so they chose professions other than art. There’s no money in art, according to Heyl. She graduated from St. Claire Academy in Sylvania, Ohio, but didn’t go to college. She took studio art classes at The Art Academy of Cincinnati in the late 1970’s when she was in her 30’s. One of the first artists to join the Pendleton Artists Studios in 1991, Heyl has rented a studio on the first floor for 24 years, where she fabricates her sculptures. 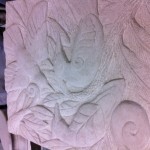 Bas-relief panels carved in Indiana limestone are the work for which Karen is best known. Her murals adorn buildings, parks and cityscapes throughout the United States. “I stay out of the politics,” she said. “I’m here to work.” She doesn’t participate in the Pendleton meetings . “I am kind of a loner in the building,” she said. Marketing her work came through an ad she placed in The Guild, a book for art consultants and architects, published in Madison, Wisconsin. “It took two advertisements before I got a call,” she said. Although the ad cost her $2,500, she received a commission for $25,000 from Christward Ministry in San Marcos, California, to create a memorial mural for parishioner Flower A. Newhouse. She used the project in the next year’s ad. “I had to be more than a one-time commission,” Heyl emphasized. She is still doing pieces nationally. Much of her work is for health care organizations, such as CareSource in Dayton, Ohio. As a female sculptor, there was some struggle to attain acceptance. People visit the studio on Final Friday at Pendleton to see her and others’ artwork. 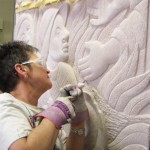 “I love direct stone carving because it is physically, as well as spiritually and emotionally challenging,” she said. Married for 30 years and now divorced, Heyl found a friend in Patricia A. Renick, a noted sculptor who taught at UC’s DAAP for 31 years. “She was an idol to me,” she said because Renick was a female sculptor who did large pieces in an era where few women sculptors made monumental work . Louise Nevelson was another influence. Heyl said Nevelson was a spunky woman, who designed figurative, assembled and found objects to make her sculpture. Most women work on a small scale sculpture; Heyl has larger pieces. She orders the stone, usually Indiana limestone, moves it and designs it. “My style is so recognizable,” she said. “I am a narrative person, with stylized realism.” Early Greek sculpture impacted her work due to its simplicity and scale. With Egyptian paintings, she was drawn to artifacts and an affection for stone. “Everything has to be tied together,” she added referring to her work. Other influences include African tribal and folk art. “Relief carving is most of what I do,” Heyl said. Chisel on stone. Influenced by feminists, “I wanted to be independent and rise to the occasion,” said Heyl. Still working six days per week, she notes that commissions have declined. During slow periods, Heyl lives off her investments. Since she is the sole proprietor of her business, she wears many hats. “Education doesn’t make you a better artist,” she said. “All I want to do is carve stone. I quit going to art shows and museums because of other people’s expectations.” Heyl just wanted to make art; she knew she wasn’t going to be on the cover of Art News. She doesn’t affiliate with any galleries either. Occasionally, she will attend a museum. Highlights of her career include a piece entitled Human Family which she created for Good Shepherd Church in Montgomery in 1984. For the National Underground Railroad Freedom Center, she designed six limestone panels depicting one family’s flight from slavery to freedom; it’s located on the third floor. Some additional sculptures are a bench with examples of 400-million-year-old fossils at the Adventure Playground of the Cincinnati John G. and Phyllis W. Smale Park and two benches in memory of Judge Gilbert Bettman given by his wife Marianna in Eden Park. Heyl carved Greek laurel wreaths into Indiana limestone, a sign of victory and success. She has a commission pending from Xavier University for a memorial to eight martyrs, including six Jesuits, killed 25 years ago in El Salvador. Proposed are eight 15” square pieces carved on benches outdoors. 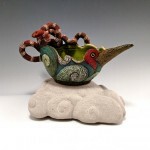 Ceramics are a new line of work and inquiry for Heyl; she creates birds in forms of clay and hand paints them. She advises young artists to learn the business of making and managing money. “You have to believe in yourself,” she said. After each commission is done, it’s done, and Heyl moves on. “Every lesson I’ve learned the hard way,” she said. She signs just her last name on sculptures and doesn’t use her first name. 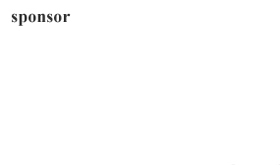 She was a Cincinnati Post-Corbett Award finalist in 1988 and 1995. Now a resident of Price Hill, Heyl owns a house and enjoys her neighbors as well as the area’s diversity. Outside of art, Heyl has other interests such as reading historic fiction by Ken Follett and Barbara Kingsolver. “I love nature and gardening,” she added. A complete life filled with creative sculpture.